Average reported sickness absence from work is at its lowest since records began in 1993, with just over four days per year lost. A quarter of these were due to minor illnesses like colds. The drop in minor illnesses could mean we're all healthier, but we feel in many places it's an indication of an unhealthy work culture, with people feeling pressured into staying, even when they shouldn't. 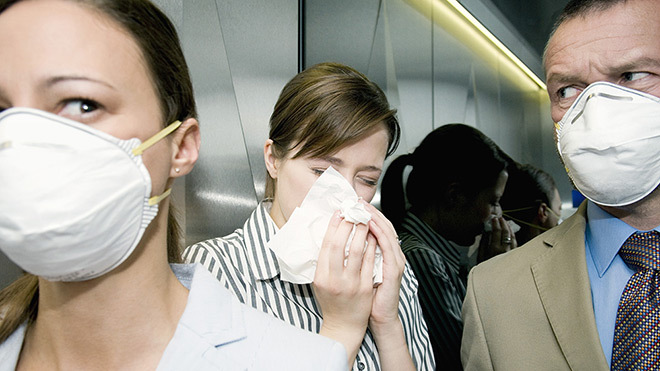 "It's a myth that UK workers are always throwing sickies. We are really a nation of mucus troopers, with people more likely to go to work when ill than stay at home when well. Sickness absence rates have fallen steadily over the past decade, and let us not forget that working people put in billions of pounds worth of unpaid overtime each year." From time to time, we all get ill, and whether or not you catch that cold in the office, it will certainly affect your work (and your colleagues). Whether you're a mucus trooper bringing fresh germs to every team meeting, or the kind who's made convalescence into an art form, If you want to find out more about sick leave, read our advice section.